Focus on the Family Canada offers encouraging, entertaining and informative audio programming for the entire family. A little encouragement can make all the difference – which is why hundreds of thousands of Canadians tune in to Focus on the Family’s Daily Broadcast! Airing Monday to Friday, our half-hour broadcast helps listeners keep a faith-filled perspective on all aspects of family life. 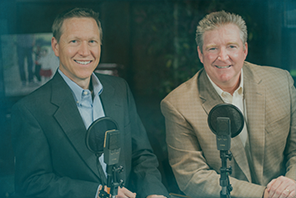 Hosts Jim Daly and John Fuller are regularly joined by special guests who seek to inspire you with practical guidance that will help you find the best way forward with your family. There’s never a dull moment in the town of Odyssey, where lovable characters face modern-day dilemmas and enthralling mysteries, and kids learn powerful lessons about living God’s way. 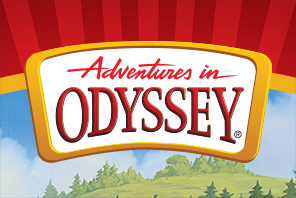 Tune into Adventures in Odyssey, a 30-minute drama created for children ages 8-12, but loved by listeners of all ages. Everyone loves a good movie, but with so many options out there, it’s hard to know what’s actually good for your family. The Plugged In Movie Review, hosted by Plugged In director Bob Waliszewski, provides 60-second reviews of today’s hottest movies to help you make the right decision for your family. Subscribe to one of our podcasts below and never miss a beat!